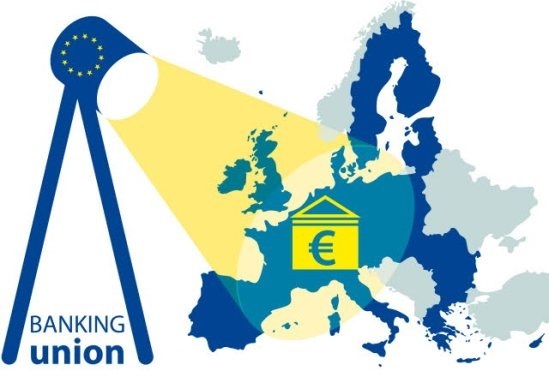 European Banking Union - what are its main elements? Follow what is important in Europe ! This is a site trying to follow and describe important fundamental rules, activities and developments in Europe. It will concentrate on short explanations of the rules and rights - and on activities already in place. It will much less deal with plans for the future. It is an experimental site, which during the coming months will find its form and direction. It is edited with the fundamental conviction that We are stronger together and need to stick together in today's uncertain and unpredictable world ! PS: It is obvious, that if you are not a member of the EU or you leave the EU, then you do not have all the rights and possibilities mentioned in this blog. Unless you like Norway agree to follow many EU rules and EU court rulings without having any influence on them at all. And that you like Norway pay to the EU budget for those rights. When discussions about Europe are getting heated and loud you often hear people say : But Europe has a democratic deficit ! Implying that you do not have to take Europe seriously. Funnily enough, this assertation is in particular presented by people knowing very little about the way Europe has been started and the way it is working. Or people who on purpose want to talk Europe down and not up. Let us reflect for a second : what does democratic deficit mean ? It means that the important decisions are taken by people, who are not democratically elected and therefore not directly responsible to the voters. This is the essence of a democratic deficit – like in autocratic states or outright dictatorships. The European Union is all the way based on democratically prepared and agreed Treaties. And it is run in full compliance with the fundamentals of any modern democracy : the seperation of powers between three democratically elected and appointed branches – each with its clearly defined tasks. There is, therefore, no democratic deficit in the European Union. There are « no faceless bureaucrats » taking the decisions. All decisions are taken by democratically elected institutions. The « faceless bureaucrats » are ensuring a professional and serious preparation of all decisions – like all their « faceless colleagues » in the member states « . Let us have a close-up look on what the European Union ( EU ) is, what it is based upon , and how it de facto works. And then we can at the end try to go hunting for the democratic deficit to see, if it can be found anywhere. The European Union is based on the Treaties negotiated and agreed by the member states. The first treaty was the Treaty of Paris in 1951, creating the European Coal and Steel Community. It was later followed by the Treaties of Rome in 1957, establishing the European Economic Community and the European Atomic Energy Community. 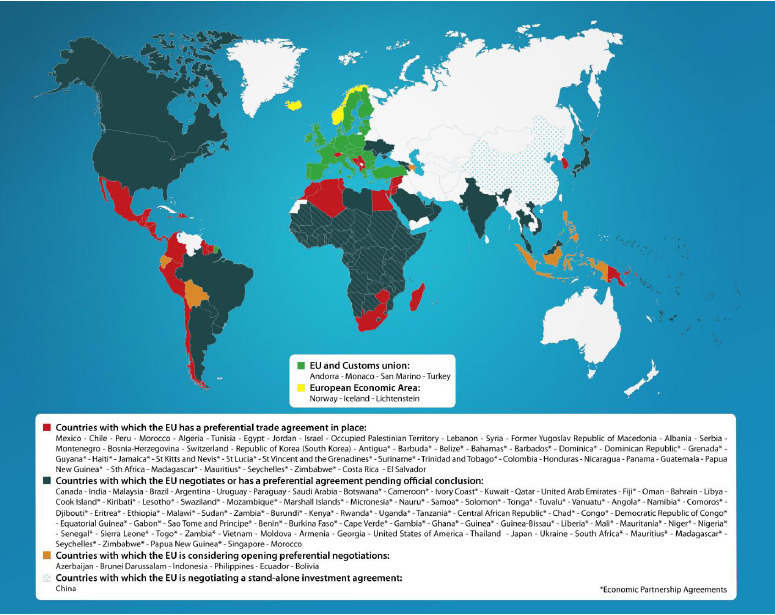 And these treaties have later been changed and updated with several treaties giving the EU more tasks and more member states. The fundamental fact is that each and every Treaty has been agreed, signed and ratified by each member state. Every single chapter, every single article. Therefore, each member state is fully committed to follow the treaties. No more, no less. This is fully in compliance with all our normal democratic rules and principles. The EU treaties are based on the key democratic principle of clear separation of powers : the legislative, the executive and the judiciary powers. The legislative power lies with the Council of Ministers – consisting of ministers democratically elected in all member states – and with the European Parliament, directly elected by all voters in the member states every five years. The rules on how to legislate ( unanimity, qualified majority or simple majority in the Council ) are clearly spelled out in the Treaties. The executive powerlies with the Commission, elected every five years by the member states and the European Parliament. It can like most national governments be fired by the European Parliament. Its main tasks are to make proposals to new legislation, to manage the approved legislation and to ensure that everybody, incl. the member states, fulfills their obligations and do not violate any of the agreed politicies and rules. If they do so, the Commission may according to the treaties start legal procedures against them – or if needed raise the matter with the European Court of Justice. The judiciary power lie with the European Court of Justice. Its task is as described in the Treaties to interprete EU law, settle legal disputes and to ensure its equal application across all EU member states. It also rules on cases sent to it by national courts. Its rulings are final and valid for everybody. The judges ( one from each EU member state ) are nominated by common accord by the member states for six years, and they may be renewed. The Court works like all courts in democratic societies in full independence of the legislative and the executive branch. 1. There are lots of working groups under the Council, in the European Parliament and in the Commission. Why ? And why are they not open to the public ? Answer: All these working groups are there to ensure a proper and profound preparation of all legislation. A legislation which takes fully into consideration that the EU consists of 28 different member states and therefore has to ensure that it all functions well everywhere. And such working groups are not different from the many working groups in the member states ( in the parliaments and in governments ). They include representatives from member states and in the European Parliament from the different political groups. In order to ensure that these working groups can work efficiently without outside interference the public, incl. the media, does not have access to their meetings. This is exactly like in the member states. Before any legislation is approved it has always been available to the public via the European Parliament and via the national parliaments, which today are very much involved in preparation of new EU legislation. From time to time working groups, esp. under the Commission, are in certain cases mandated to take certain decisions. But this is always on the basis of a mandate from the democratically elected institution. 2. Why are no measures taken to stimulate involvement of the public before big initiatives are taken? Answer: Many such measures are taken all the time. The Commission often presents public Green Papers before new major initiatives are taken. They describe what the issue is all about and lays out a number of possible solutions. These Green Papers are meant to stimulate a public debate, and everybody is invited to send reactions and suggestions to the Commission. On the basis of that the Commission will often make a follow-up with a so-called White Paper, where it spells out how it suggests to move on. The problem often is, that relatively few citizens take part in this process. Room for improvement ! 3. Why is it almost imposssible to get information on what happens in the EU ? Answer : It isn’t ! The EU is not further away than your nearest telephone. How is that ? You will be automatically connected to a person speaking your language. And you may ask any question you have about the EU. If there is a reply, they will give it to you. Or come back to you, when they have found it. 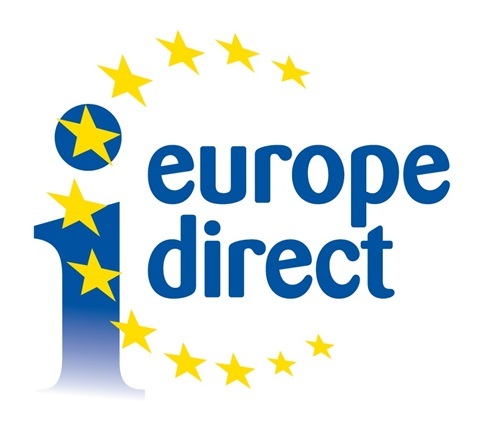 EUROPE DIRECT. And you will get your answer within 3 working days. The European Union and its treaties make it a RIGHT for each European citizen to travel, to live, to work, to study and to enjoy being in all of our 28 member states. You do not have to apply to do it. You have the right. This is part of European citizenship. And equally important is the fact that you have the right to be treated in exactly the same way as the citizens of the country you are in. If this is not the case you can go to court - and win. You can say that the whole of the European Union is your home. 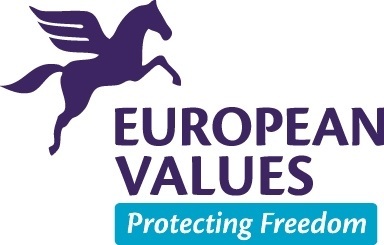 Fighting for Europe's values! We often talk about them. But what are they? Are they concrete? And are they legally binding? The short answer to both questions is: YES ! The EU agreed in 2000 a Charter of Fundamental Rights of the European Union. It consists of 54 concrete articles. And as the Charter became part of the Lisbon Treaty in 2009, it is now legally binding for all member states, and for EU institutions alike. When you as a country have signed the Treaties you are obliged to follow the rules. And if need be the European Court of Justice - and all national courts - are obliged to follow them. That is why Poland's and Hungary's actual behaviour against some of these values is not only politically unacceptable. It is also legally unacceptable. What are the main chapters of the Charter? 4. Solidarity: social and workers' rights, incl. the right to fair working conditions, protection against unjustified dismissal, and access to health care, social and housing assistance. 5. Citizens' rights: the right for EU citizens to vote in elections to the European Parliament, and the right to move freely within the EU. These European values show the difference with the situation in most of the world, including Turkey, Russia, China, and to some extent the United States. And any European country wanting to join the EU as a member has fully to subscribe to these values. It does so when it signs the accession treaty. The United Kingdom has in connection with the ongoing Brexit process indicated that it after having left the EU no longer intends to follow many of these values. This is, of course, worrying a lot of people in Britain. The binding European values are a very important part of what makes Europe special and what makes it much more than just a single market and an economic entity. European citizenship: what does that give you in addition to your national citizenship? If you are a citizens in one of the member states of the EU you also enjoy the rights of having a European Citizenship. What does that mean ? The EU decided in its Maastricht Treaty from 1993 that all citizens in its member states in addition to the rights being a citizen in their own countries would from then on enjoy a number of additional rights, freedoms and protections. And these rights are automatic and valid permanently. You do not have to apply for them. You simply have them, when you are a citizen of a member state in the European Union. What are these European citizen rights then ? 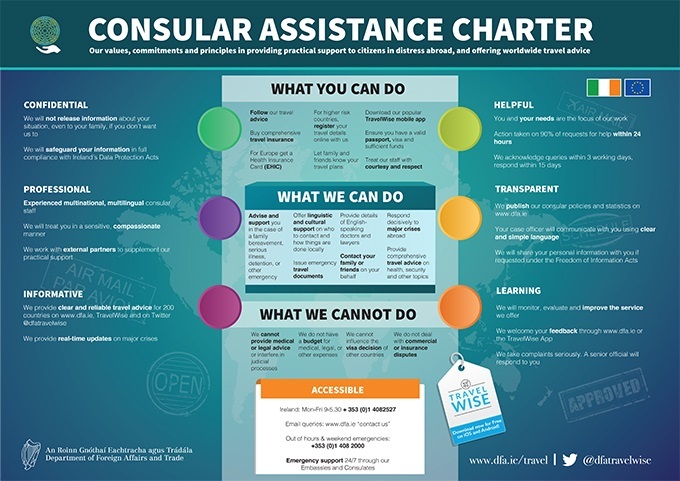 When travelling outside the EU you have the right to get help from any embassy or consulate of a member state of the EU, if your own country does not have an embassy in the country you visit or stay in. And you have the right to get exactly the same assistance as the citizens of the country of the embassy or consulate. You can ready much more about your rights in the European Charter of Fundamental Rights in the European Union. It is now part of EU’s Lisbon Treaty of 2009 and therefore legally binding in all member states. People are and will always be the best resource Europe has. That is why it is of crucial importance for the future of Europe to invest in people - to give them new skills, making it possible for them to find better jobs. This is a never ending challenge. The competition from around the world never stops. We all the time have to ensure that we become more and more qualified to be up-front in this challenge. And all countries in Europe are confronted with the same challenge. Therefore, it is, of course, a very good idea to cooperate closely and to exchange as much experience as possible on how to become better all the time. The EUROPEAN SOCIAL FUND is one of the key instruments of the EU to help in this effort. It has been working for more than 60 years by now. At the moment it has 86,4 billion € at its disposal to help in this work. Most of that money is channelled via the member states to concrete projects - projects, which the governments and regional bodies also have to contribute to. If no national or regional money, then no EU money either. 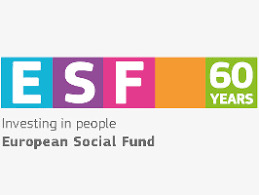 So you can say that the funds from the European Social Fund is an active stimulator to the member states to do more to help citizens getting more skils. Millions of European citizens have over the years profited from these European funds. It is evident that only projects in member states have the possibility to get money from this Fund. What is the European Regional Fund? What has it done? Following the first enlargement of the EU in 1973 ( with the United Kingdom, Ireland and Denmark ) it was soon decided to mobilise EU funds to stimulate the development of less developed regions in the EU. This was part of the policy of solidarity between all parts of the EU, which is an essential value in Europe. And it was also done with the knowledge that if you accelerate the economic development in areas left behind it will have a clear positive effect for everybody in the EU. Most member states had already national programmes to stimulate development in less developed regions. But in 1975 the EU started the European Regional and Development Fund, often just called the EU Regional Fund. Its first political boss was the British commissioner George Thomson from Scotland. The principle for the Fund was and still is that it in particular supports investments in certain priority sectors. A condition for EU support is that a member state also gives support to the project. The main decisions on who gets which support is taken by the European Commission on behalf of the EU. The daily management is for practical reasons done by national or regional authorities in the member states. As the EU got more member states ( 1981: Greece; 1986: Spain and Portugal; 1995: Finland, Sweden and Austria; and 2014: ten countries from East and Southern Europe ) it was needed to allocate more resources also to the Regional Fund. Today’s priority sectors for the Fund are: innovation and research; digital projects; small and medium-sized companies; and projects reducing the emission of CO2. The total budget for the Regional Fund is for the years 2014-20: 280,7 billion €. Together with the other and smaller EU funds about 25 % of the total EU budget is allocated to these development purposes. It is Poland, which as a country gets the biggest amount from the Regional Fund. If you look at regions in need for support, 7 out of the 8 most qualified regions are in the United Kingdom. The negotiations on a new multiannual budget for the years 2021-27 are ongoing. The Commission has proposed, that the Funds in the future must be more flexible and more easy to manage. At the same time it suggests a small reduction of the budget allocated to the funds ( about 5 % ). A very important discussion takes place on the question : if member states do not fulfill the key conditions for being a member of the EU ( such as respect for the fundamental European values spelled out in the Treaties ), should they then continue to get the same support from EU’s funds ? Or as the former Belgian prime minister and present member of the European Parliament, Guy Verhofstadt, says to Hungary and Poland : You want our money, but not our values ! It will be very interesting to follow the outcome of these negotiations, not least for the member states benefitting a lot from the Regional Fund. What is the EIB, European Investment Bank ? And what is it doing? EIB is the long-term loan institution of the European Union. You can say that it is the bank of the EU. It was created in 1958 by the Treaty of Rome. It has its headquarters in Luxembourg. Its shareholders are the member states of the EU. The purpose of EIB is to give long-term loans, which promote European integration and social cohesion. Its priority areas for its loans are today projects on innovation and skills, small and medium-sized companies, infrastructure, climate and environment. The Bank gives loans to projects in EU’s member states, in applicant countries, in other countries in the neighbourhood of EU and in developing countries all over the world. EIB is the world’s biggest lending institutions. It has during its 60 years of existence supported altogether 11.900 projects in 162 countries. And the total amount of its loans is 1,1 trillion €. It is able to get its money on favorable conditions on the capital markets, because all the EU member states are the shareholders. What are the main components of the joint research programmes in the EU ? Development and progress for us all does not come by itself. We all the time need new knowledge and innovation. This is not least the case in Europe, where our most important resource are the human beings and the human brain. This is the case for all European countries. Therefore, it is very natural and very much agreed politically that we have to work closely together in this area. It is research and innovation, which give us this new and very important knowledge. Research and innovation have since the very beginning of the EU been an important area for close cooperation. The European Union runs multi-annual research programmes. The present programme is called HORIZON 2020 and runs for 7 years from 2014 to 2020. It puts 77 billion Euros at disposal for European research. For projects to qualify they have to include involvement of several member states or associated countries. The European Commission has made a concrete proposal for a new multi-annual joint research and innovation programme from 2021-27. It is called HORIZON EUROPE. And the proposal is to give it a budget of 100 billion Euros. What are the main results from HORIZON 2020 until now ? The final overview for the first three years of the programme is that it received 115.000 applications. Altogether 48 % of these projects were considered to be valid for support. This was unfortunately not possible due to lack of funds. Only if the budget had been almost twice as big they could all have been funded. Only the very best could get support. These projects came primarily from 3 main areas : 37 % for basic research ; 20 % for industrial leadership ( in information and communication technology, nano technology, biotechnology, space research and innovation in small and medium-sized companies ) ; and 20 % in areas, which are special challenges in today’s society ( inside health, food, energy, transport, climate and environment ). If you look at the amounts allocated most projects came from the biggest countries in the EU with the UK, Germany and Spain in the lead. But all member states have been and are very active participants. This joint programme in research and innovation is of increasing importance. The proposed amount for the coming 7 years (2021-27) is 100 billion EURO. British research institutions are very worried about their future, esp. if the Brexit process ends with no agreement at all. This means that they no longer can benefit from these programmes. 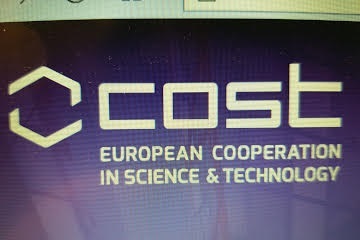 COST is a EU funded programme, which supports cooperation and exchange of ideas between researchers and innovators all over Europe. COST means Cooperation in Science and Technology. It has a budget of 300 million EURO. You can get support to projects running up to 4 years. At the moment about 45.000 researchers and innovators are active users of COST. They are running all together 240 different projects. The Maastricht Treaty of the EU in 1992 was also a very important step in further developing the single market with no internal borders and soon also with a common, official currency, the EURO. The Treaty had paragraphs about the development of joint, European networks in transport, energy and later also in IT. The purpose was step by step to connect all European countries and regions physically with each other. It would increase trade, stimulate economic growth and promote competition – all to the benefit of the millions of citizens in the EU. The initiative was called Trans-European Networks ( TENs ). Later it got the name : CONNECTING EUROPE FACILITY. The cooperation has been further developed and enlarged several times ( in 1996, 2004 and 2013 ). In the present budget period 2014-20 is has a total budget for the transport area of 22,4 billion EURO. It is working closely with the member states and now also with the applicant countries and other neighbouring countries in Europe. It uses grants, loans, guarantees and bonds linked to individual projects. The European Investment Bank ( EIB ) is also very much involved in this work. Lots of projects have either been finalized or are on their way all over Europe. 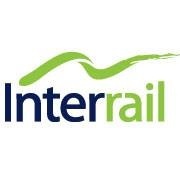 It concerns railway connections, roads, tunnels, bridges, sea routes and port facilities – and much more. 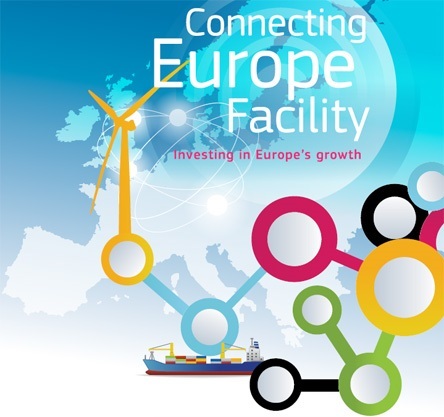 If you want to know more, just use Google and search for: Connecting Europe Facility. It will give many more details and links to background information. It is evident that this cooperation will develop further in the years to come. As mentioned the European Union is investing billions and billions of EURO every year in improving Europe’s transport networks, especially across borders. The same happens in the energy sector. 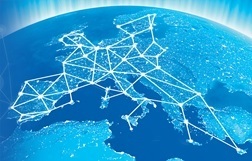 The so-called CONNECTING EUROPE FACILITY is supporting the modernisation of Europe’s energy networks. This is the case for electricity as well as for gaz. The present networks are partly out of date, and they do not fulfill the needs of today’s world for a speedy and secure supply of energy. This is very important to ensure continued growth and progress in Europe. Calculations show, that investments in the order of 140 billion EURO in electricity and 70 billion EURO in gaz structures are needed. That money has, of course, primarily to come from private sources. But experience shows that it does not always work that way. Some public money is also needed. At the same time there is a political wish to ensure a number of priority investments to make Europe’s energy networks to be better connected across borders. The EU budget for the period 2014-20 has allocated 5,35 billion EURO for energy projects. It goes primarily to projects involving several countries. For the years 2017-18 the EU has selected 173 so-called priority projects all over Europe, including some of the countries neighbouring EU. The EU Commission’s budget proposal for the coming years ( 2021-27 ) gives more resources to Trans-European-Networks : Transport : 30,6 billion EURO. Energy : 8,7 billion EURO. And digital networks : 3 billion EURO. This multi-annual budget will be negotiated in the EU in the coming months. 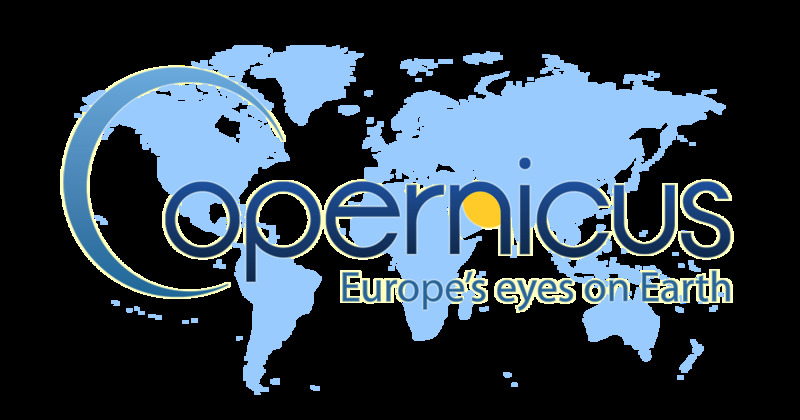 The COPERNICUS project : What is it ? And which results has it given during its first 20 years of existance? This project is “Europe’s eye, which around the clock monitors the situation of the earth”. This is what it is often called. It started in 1998, and it has its name from the Polish astronomer Nicolaus Copernicus ( 1473-1543 ). Copernicus is primarily a satellite-based observation service, which is run by the European Commission in cooperation with ESA, the European Space Agency. Today it has 7 satellites. More will be added. At the same time it has a number of landbased monitoring stations and also some at sea. It collects information about the state of the earth when the environment, the climate and the weather are concerned. And it is also monitoring emergency situations to ensure that authorities have the necessary information available almost in real time. To understand the size of the operation you should know that 8 terabytes of data are collected and treated every single day. All results are available for free to everybody. Calculations show that the Copernicus project will give results, which are worth 20 times the costs. And from 2020 about 4.000 new jobs will be created by it each year. The total budget for Copernicus for the first twenty-two years 1998-2020 is 6,7 billion EURO. And the budget proposal for the next seven years 2021-27 is 5,8 billion EURO. Which important EU decisions have been taken in the energy sector until now ? Europe is like all industrialised countries a big consumer of energy. At the same time it is very dependent of import of a big part of its energy, esp. gaz and oil. As the EU is a very active fighter for protecting of the climate, by reducing the emission of CO2 coming from the use of coal, gaz and oil, it had to take concrete actions to change its use of energy significantly. It was and is an absolute must. The EU Summit decided in 2007 that the following major changes had to happen before 2020: a 20 % reduction of the emission of CO2 ( compared to 1990 ); 20 % of energy in the EU should come from renewable energy sources; and the energy efficiency had to be increased by 20 %, in other words : EU had to find ways to get 20 % more out of the energy it uses. To further strengthen the joint efforts energy cooperation and solidarity was written into the EU Treaty ( the Lisbon Treaty ) from 2009. 2) Strengthening of a fully integrated energy market, where the energy markets of each member state are interconnected. This makes it possible for countries to help each other – such as the help Germany and France have promised to give to Belgium during the coming winter (2018-19) due to lack of electricity. 5) Strengthening of research, innovation and competitiveness in the energy sector. Oil: 38 %; coal: 14 %; natural gaz: 24 %; nuclear energy : 11 % ; water : 4 % ; and other nenewables: 9 %. The EU BLUE CARD came into force in 2011. It invites people from non-EU/EEA countries to come to Europe to work. Why was the it launched? Because Europe with its aging population strongly needs people from outside Europe to come here to work. Only this way we will be able to safeguard our welfare and our growth. Germany alone is today (2018) in need of 1,6 million people from outside. One of three German companies needs more workers. And this is the same in most European countries. Germany has so far issued 81.000 EU BLUE CARDS. The United Kingdom, Ireland and Denmark have decided not to use this well-functioning European service - though they also lack qualified people from outside in their labour markets. EU’s WATCHDOG ENSURES THAT NOBODY ABUSES THE SINGLE MARKET. It is now more than 25 years ago that the biggest market in the world was created: Europe’s single market. Everybody can sell to and buy from all 28 member states of the EU. They have about 510 mills. citizens. This is a huge advantage for everybody involved. But, but, but… There are always people, companies or governments, who try to abuse such opportunities. Abuse which in particular will hit the European consumers and also all the business playing to the rules. Therefore, it is of utmost importance that the EU Treaties give the EU very strong instruments to fight such abuses. These rules are dealing with competition. They are directly applicable in all member states. National courts have to follow them. And if you do not follow these rules, you might have to pay a fine which can be up to 10 % of your annual turnover worldwide. Many consider these rules to be the strongest in the world. The rules were also in force before the single market started. But now they are more important than ever before. The European Commission manages these rules – not by issuing new laws and regulations, but by managing what the EU treaties spell out. Commissioner Margrethe Vestager is responsible for these activities today ( 2018 ). Cartels are forbidden. They are agreements between companies and others, which limit the free competition. It might be agreements on prices, on splitting up markets, on limiting production, on distribution, etc. Abuse of a dominating position on the market is also forbidden. You are not allowed to ask for unreasonable high prices, to treat customers differently, to force trading partners to follow specific rules, etc. To illustrate the problem we can quote Commissioner Vestager, who recently said: I cannot understand, why Belgian beer is cheaper in France than in Belgium!”. So, probably a matter to be looked into. When mergers between big companies, often active in many countries, are planned they have to be approved by the EU, before they come into effect. A number of very important cases in the telecommunication sector have been dealt with in this area. The European Commission follows these matters on its own initiative – or if it receives complaints and other information about breach of the rules. Actually, it is a rule that the first whistleblower, f.ex. one of the participants in a cartel, will go free from fines, while the others are in for a rough time. A very efficient instrument. Over the years many companies and groups of companies have receive huge fines. The biggest one so far was given in 2016 to a cartel of lorry manufacturers – 2,9 billion Euros. They had for 20 years made cartel agreements between them. The Commission has also treated very important cases against companies like Microsoft, Gazprom, Google, and others. State aid to companies is in principle also forbidden according to the EU rules, if it gives the companies special advantages over other companies or other countries. This may f.ex. take the form of specifically lower taxes. A recent case is Ireland, which the Commission says has given tax advantages to Apple. Therefore, Apple has to pay what they have got in aid back to the Irish government. Another very important state aid case dealt with measures to ensure electricity supplies. Why is all that very important? It is of crucial importance to citizens as well as to business, because we all must be sure that competition is fair and free and not influenced by illegal agreements and support. Only free and fair competition ensures fair prices and fair conditions for doing business. So you can say that the European competition rules are hugely important for consumer protection and for fairness for everybody doing business in Europe. You can ask, why cannot these matters just be handled by the national competition authorities in each member state? First, the national rules in many member states, not least countries like Denmark, are much weaker than the European treaty rules. Second, many abuses of the single market happen across borders. And national authorities have no possibility to persue abuse taking place in other countries. Therefore, the common rules are very important to ensure the well-functioning of the market. What has the EU done to improve the environment over the years? It is evident that densely populated and highly industrialised countries like the member states of the European Union do not only have an interest in protecting the environment, but that they also will do something about it. Programmes to protect the environment started in different countries at different times. And from the mid 1960ies joint initiatives were also taken at EU level. In 1967 it started with a directive on labelling of dangerous chemicals. But it was only from November 1973 that EU activities really started in this important area. At that moment the first EU Action programme for protection of the environment was adopted and put into action. It happened as a follow-up to the United Nations environment conference in Stockholm the year before. And it was during the first Danish EU presidency that the programme was adopted. From 1987 protection of the environment was directly included in the EU Treaties – in the Single Act about creation of the single market. Promoting measures at international level to deal with regional and worldwide environmental problems, in particular combating climate change. Until now ( 2018 ) altogether 7 EU Action Programmes on Protection of the Environment have been adopted and implemented in the EU. The present one runs from 2014-20. The result is that by now about 500 EU directives and regulations have been agreed. This means that the European Union now has the highest standards in environmental protection in the world. EU has also been in the forefront in the preparations of the UN Climate Agreement adopted in Paris a few years ago. Though most of EU’s environmental protection has been done through legislation a number of support programme have also been put in place. Programmes which with financial means support activities promoting the priority actions of the EU. One such programme is LIFE. Another one is NATURA 2000, in which about 26.000 areas of nature with special importance are interlinked in joint efforts to ensure their protection. 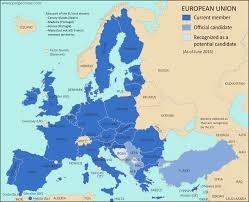 They cover about 20 % of the total area of the EU. Every year Europeans generate 25 million tonnes of plastic waste. But less than 30 % of it is collected for recycling. Large parts of this waste end up in the sea, with plastics making up 70 % of all marine litter items. This is catastrophic for sea life. At the same time this waste is a major loss to the economy. Some 95 % of the value of plastic packeging - worth up to 105 billion € - is lost to the economy every year. This huge problem is common to all European countries. Therefore, they have decided to work closely together within the EU to try to solve it. This is part of Europe's overall ACTION PLAN for the CIRCULAR ECONOMY from 2015. We live in a world of limited resources, so it makes sense to conserve them, and to keep them in use for as long as possible. The Action Plan had 54 concrete actions. And now four years later 95 % of those actions have been approved and delivered. The remainder is all under way. 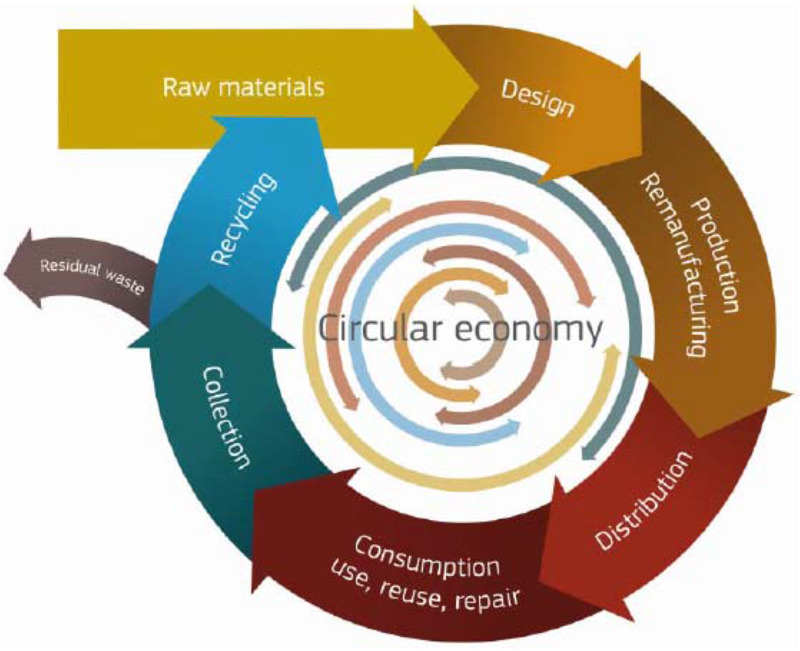 Europe's new Strategy for Plastics in a circular economy was adopted in January 2018. It will modernise the plastic industry, improving plastics and plastic products design, boosting reuse and recycling. 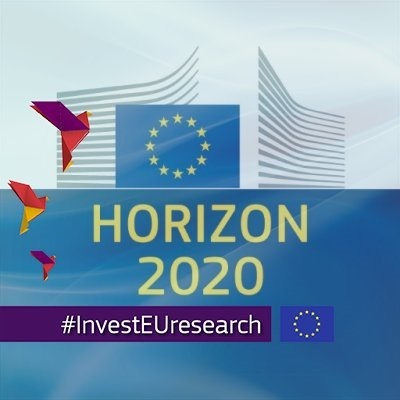 EU's fund for research and innovation, HORIZON 2020, is also supporting this strategy with 350 million €. In December 2018 an EU agreement on single-use plastics was made. This will make a huge difference in what reaches the seas in the future. And it will also save millions of tonnes of CO2 emissions in Europe. The changes are being made step by step. The plastic industry is also coming on board. And by 2030 all plastics packaging placed on the EU market will be either reused or easily recycled. By taking this road Europe will become a world leader in the fight against plastic waste. And it is expected that it will create about 30.000 jobs in the EU, with benefits in numerous areas. In addition to the European rights to go, stay, work, etc. in all EU countries most EU countries have together with Norway, Iceland and Switzerland established the socalled SCHENGEN AREA. It was decided already in 1985 and has since been developed step by step. These countries have about 400 million inhabitants. There are NO BORDER CONTROLS at the internal borders between the Schengen member states. Everybody can move around freely, incl. goods and services. There are about 1,3 billion border crossings a year between the Schengen countries. 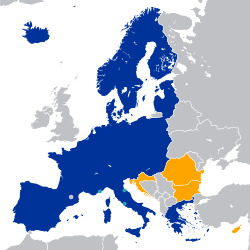 As the map shows the United Kingdom, Ireland, Croatia, Romania and Bulgaria are not (yet) member of Schengen, though they are members of the EU. The Schengen rules include possibilities for temporary exemptions, where border controls are re-introduced for a limited period of time - due to terrorism, a migrant crisis, etc. It is the Commission as responsible for the managing of Schengen, which can give such time-limited exemptions. The European Union has 8.000 km external land borders and 80.000 km external sea borders. It is obvious that when we have free movement inside almost all of the EU we will have to control, who comes into our area from outside. This work we do together - pooling all the border control resources we dispose of. Since the Schengen borderfree area started in 1995 we have had a close cooperation on issuing VISAS to citizens from countries needing a visa to enter Europe. A visa issued by one member country of Schengen is valid for all Schengen countries. It is called a Schengen Visa. A EUROPEAN BORDER AND COAST GUARD AGENCY was created in 2016. It has its headquarters in Warsaw, Poland. Its name is FRONTEX. And it coordinates the border control for all Schengen countries. It has at its direct disposal 1.500 specialists, who with a 5-day notice can be made at disposal of member states in need of them such as Greece and Italy at the moment. This Rapid Reaction Pool is working very well. The Agency is also coordinating common databases, which can be consulted by any border guard at any external border. What is the European joint foreign service ? The European Union decided in its Lisbon Treaty ( from 2009 ) to have a Common Foreign and Security Policy. Its leader should be a High Representative. And that person should at the same time be one of the vice-presidents of the European Commission – to ensure coordination and coherence. The High Representative would also be chairman of the Council on General Affairs in the EU – the meetings of the foreign ministers of the member states. Until then the post as chairman was held by the rotating presidencies among the member states. The High Representative would at his disposal have a special service called European External Action Service (EEAS). And all 140 EU Delegations around the world ( its embassies ) would be under the responsibility of the High Representative. EEAS has in total about 5.000 staff, of which about 1.100 are working in the headquarters in Brussels. Part of the staff has been temporarily seconded from the foreign ministries of the member states. The annual budget for EEAS is about 1 billion EURO. The purpose of this new arrangement is to ensure maximum European influence on developments in the world. It happens through permanent monitoring of what is happening everywhere through the EU Delegations and also through a special ”Situation Room » in the headquarters. And not least by political initiatives and by active involvement in important political events around the world. All this is done in close cooperation with the member states, of course. The first High Representative was Mrs. Catherine Ashton from the UK. And the present High Representative since 2014 is Mrs. Federica Mogherini from Italy. What is the EU defense cooperation? Already in the beginning of the 1950ies initiatives were taken to start a special defence cooperation in Europe. NATO started in 1949. But with the aggressive behaviour of the Soviet Union and of Stalin everybody agreed that more had to be done, and that the disarmed West Germany had to contribute to it too. A way and a structure had to be found, so that re-armament of West Germany would be acceptable to all. The first initiative was the European Defence Community, EDC. It was taken by “The Six”, the same countries which already started the European Coal and Steel Community from 1952. It was France, Italy, the Netherlands, Belgium, Luxembourg and West Germany. EDC was ratified by the parliaments of the involved countries. Except by France. The year was now 1954. Stalin had died, and the Korean War was over. The Gaullists and the Communists held strong positions in the French parliament. So the project was voted down. Instead it was agreed that the re-armament of West Germany took place from the following year 1955 by the country’s membership of NATO. For many years now almost all cooperation in defence matters took place in NATO. Only in 2004 the EU member states ( except Denmark ) agreed to create the European Defence Agency. It was an inter-governmental cooperation. Its task was to promote and facilitate cooperation in defence between the participating countries. EU’s Lisbon Treaty from 2009 created a cooperation on a common foreign and security policy in the EU. But it was in reality only by the end of 2016 that developments really took speed. Putin had with his illegal annexation of Crimea and his de facto involvement in the fights in the east of Ukraina made Europe nervous. And with the election of the more inward-looking US president Donald Trump ( “America First” ) it was agreed that now was the moment to do something in concrete terms to strengthen the defence cooperation in Europe. The result was PESCO ( Permanent Structured Cooperation ) inside the framework of the EU treaties. So PESCO is an integrated part of the EU. All member states except Denmark, Malta and the United Kingdom are members of PESCO. Also the neutral countries Finland, Sweden, Ireland, Austria and Cyprus. Enhance cooperation; increase investments; join forces ; do things together ; spend together ; invest together ; buy together; act together. Altogether 17 concrete, joint projects have been agreed and are being implemented. The EU member states used in 2015 in total 203 billion € on defence. It is expected that with PESCO it will after some years be possible to save between 25 and 100 billion € annually. From 2017 a special European Defence Fund has been established. It has an annual budget of 5,5 billion €. It will be used to strengthen joint efforts in defence research, innovative defence initiatives, etc. At the same time the EU has through its defence cooperation during the last 15 years been in charge of more than 30 civilian and military projects around the world. The tasks have been peacebuilding, peacekeeping, nation building, etc. At the moment ( autumn 2018 ) six military and ten civilian projects are ongoing – with a directly involved staff of about 4.000 people. You can ask: Doesn’t all this give possibilities for competion and overlapping with what NATO is doing? Altogether 22 EU member states are also a member of NATO. The clear answer is NO. The two organisations are working closely together. And as recently as in July 2018 a new joint EU-NATO declaration about cooperation and coordination was signed and is supported by everybody involved. One of the fundamental principles in the EU is that trade barriers between the members are abolished. We can all buy from everywhere in the EU and sell to everywhere. We consumers can choose between goods from all 28 countries. It gives a larger selection. And more competition normally gives lower prices. And the producers of products may freely sell them in all 28 countries with more than 500 million consumers. They can also buy raw materials or other products they need for their production in the other countries. The basic rule for all trade inside the EU is that if a product has been produced legally and put on sale legally in one member state, then it can freely be sold in all member states. All this means that tens of thousands of forms and procedures with trade across borders inside the EU and staff to handle it have disappeared. And this is a win-win advantage for consumers as well as producers. To illustrate the importance of trade between the member states you can say that its value is almost 25 % of the total GNP of the European Union. Of the total external trade of all EU member states altogether about 2/3 is between member states. And still the EU is the second largest importer and also the second largest exporter in the world. Imagine how many millions of jobs in the EU are dependent on that trade. No wonder that the EU as a huge trading area always is fighting for as much free trade as possible. As of December 3, 2018 this is no longer permitted. A EU regulation came into force on that day opening all websites selling products and services in the EU to clients in any member state of the EU. This is a very important step in creating a real European digital single market. It is evident that the companies are not obliged to transport the purchased products for the same price everywhere in the EU. How is the European cooperation on patents going? 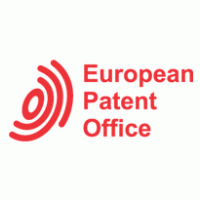 The European Patent Convention was approved in 1973 and came into force in 1977. It made it possible for companies and others to apply for patents, meaning monopoly on the production and sale of products in all member states of the Convention or in some of them, by sending the applications to the office of the Convention, The European Patent Office, in Munich. It has today 38 member states, including all 28 EU member states. The Patent Convention is very important for companies, which are active in several countries, also for non-European companies. The figures for applications for patents show how huge this cooperation has become. In 2017 altogether 165.000 European patents were given. The biggest applicants were Chinese Huawei and German Siemens. But companies from all member states and from countries around the world are very active using the Convention. As the activities grew and the need for an even closer cooperation became evident it also was an important issue that participation was very expensive in fees and not least in costs for translations into all the languages, where the patent should be valid. 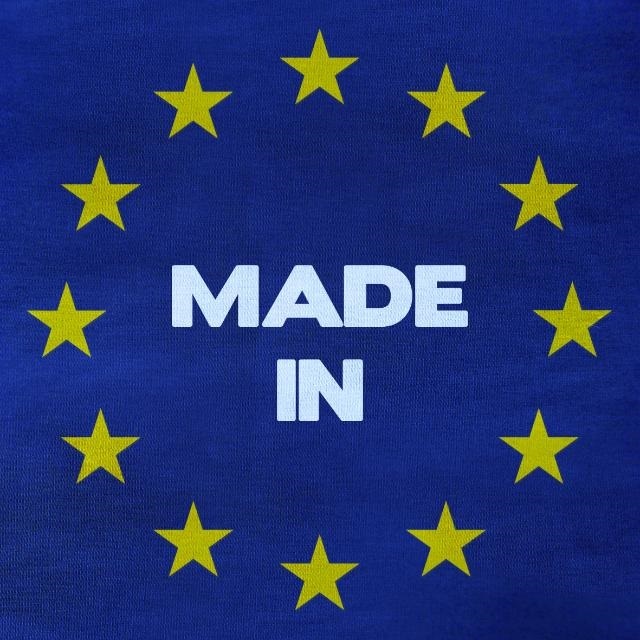 Therefore, the EU decided to introduce a Unitary Patent. It implies that you only have to present One application, which then is valid for all participating countries. This makes the legal protection the same in all countries. You are allowed to present your application only in either English, German or French. And when you might want to renew the patent you only pay one fee, not a fee per country. A special Patent Court is attached to the Unitary Patent to rule on cases of disagreements. All EU member states except Poland, Spain and Croatia are members of the Unitary Patent agreement. And it is expected that it will come into force during the first six months of 2019, when the necessary ratifications have taken place. When Denmark is concerned the participation was approved by a referendum on May 25, 2014. It was approved by 62,5 %, while 37,5 % voted against. This Unitary Patent will beyond doubt be of great importance, not least for small and medium-sized companies. RAPID ALERT ON FOOD PROBLEMS: As the European and international trade with food products increases all the time and gives us all many more choices when we go shopping, it is very important to be very vigilant about food safety. We have to be sure that the products we buy are healthy and safe wherever they come from. How will authorities and consumers know about food safety problems in other countries? The European Union has created a special RAPID ALERT SYSTEM FOR FOOD AND FEED ( RASFF ). All national authorities in the 28 member states of the EU can through this system notify each other about problems and irregularities - and take swift action to remove products in case of breach of food safety rules. 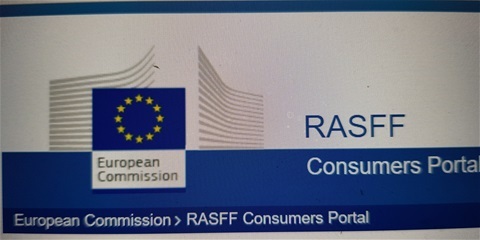 And consumers can in a special RASFF Consumer Portal check all alerts related to their country. You can any time consult this consumer portal HERE. This Rapid Alert system is part of a EU's wider and concrete consumer protection activities. Since mid 2017 you no longer have to worry about your phone bill, when you travel in another EU country ( and in Norway, Iceland and Lichtenstein ). You pay exactly the same as you pay, when you use your phone in your home country. 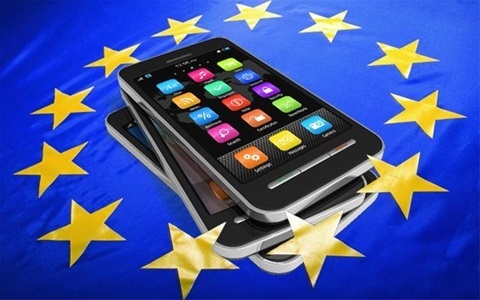 The so-called roaming charges have been abolished inside the EU. Or said in another way: roaming charges are customs tariffs on phone calls and data transfer from other EU countries than your own. EU is against tariffs between member states. This is also the case for phones and data. Therefore, they have now been abolished. We have also a single market for phone calls and data transfers from abroad. Your communication ( phone calls, SMS, data ) made from another EU country will be covered in your national bundle: the minutes, SMS and gigabytes of data that you consume abroad will be charged or deducted from the volumes of your national tariff plan exactly as if you were at home ( in the country where you live, work or study). Contrary to the past, you will not have to pay anything extra. No bill shock anymore. Whether you use your mobile phone while periodically abroad in the EU or in the country where you live will not make any difference. You will be treated like at home. It is important to note, though, that if you call from your home country to another EU country, you still pay the normal international fee. Unless you have a subscription where calls to all EU countries only cost the national fee. This is possible in Belgium - and in many other countries too. But if you do not have that possibility, you can use the totally free services of SKYPE and of VIBER. Even with video. Install these apps for free on your smart phone or on your computer. And off you go. For free. Will this roaming free right continue in the UK as today after Brexit? No, not automatically. It is not valid for countries outside the EU and the EEA. One of the next important steps in making the single European market function very well is to ensure that a DIGITAL SINGLE MARKET is created and stimulated. The aim is to give everybody in Europe - citizens, companies, public authorities, etc. - a very easy access to digital services everywhere, also in other countries than their own. In order to get there you have to give everybody easy and possibly in many cases free access to the internet. 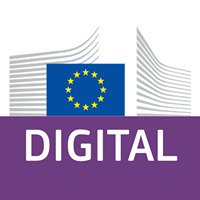 The European Commission launched in March 2018 the WiFi4EU web portal. Municipalities all over Europe are invited to register their details ahead of the first call for projects in mid-May, for the chance to benefit from EU financing to build free public wireless internet hotspots. The WiFi4EU programme offers vouchers worth €15,000 for municipalities to set up Wi-Fi hotspots in public spaces, including libraries, museums, public parks, squares. As stated by President Jean-Claude Juncker, the WiFi4EU initiative aims at connecting "every European village and every city with free wireless internet access around the main centres of public life by 2020." Municipalities can use the WiFi4EU vouchers to purchase and install Wi-Fi equipment (wireless access points) in their chosen centres of local public life. Costs for maintaining the network will be covered by the municipality. Vice-President for the Digital Single Market Andrus Ansip said: "By opening the WiFi4EU portal today, we are taking a concrete step towards helping municipalities provide free Wi-Fi. While this is important progress, I also strongly encourage the European Parliament and Council to conclude work on the proposed telecoms code to ensure high-speed connectivity across the whole of the EU. This includes Europe-wide coordination of spectrum, and forcefully stimulating investments in the high-capacity networks that Europe needs. Commissioner for the Digital Economy and Society Mariya Gabriel added: "The WiFi4EU initiative will give thousands of Europeans free internet access in public spaces across the EU. Thanks to the WiFi4EU programme, local communities will be empowered to bring connectivity closer to citizens, allowing them to fully benefit from the endless opportunities of digitisation. It is a concrete step towards the realisation of the Digital Single Market." €120 million is available from the EU budget until 2020 to fund equipment for public free Wi-Fi services in up to 8,000 municipalities in all Member States as well as Norway and Iceland. One market - one money. This is a short way of saying that if you want to have one big market without borders you have to get rid of the need to exchange different currencies - and not least to get rid of the fear that currencies in the countries you trade with or invest in will change the value of their currency. Therefore, the European Union has decided to have one official currency for all. It is called the EURO. In the EU Treaties all member states are obliged to use the EURO as their currency ( unless they have a specific exemption from that rule). And coming member states have to use the EURO, when they become members. The EURO took effect from January 1, 1999. And the EURO notes and coins came into circulation from January 1, 2002. Today (2018) 19 out of the 28 EU member states ( with a population of 337 mill. citizens) use the EURO as their currency. And 210 million other people live in third countries, which have their currency linked to the EURO. The EURO is today the second largest reserve currency in the world, and it is the most traded currency after the US dollar. It is a proven fact that trade, investments, tourism and more have clearly profited from the EURO. It is also an important fact that business operators and people using the EURO to transborder activities are not allowed to add more transaction costs to them than they do to domestic transactions. The daily management of the EURO is done by the EUROPEAN CENTRAL BANK in Frankfurt. And political initiatives are now under way, not least from France and Germany, to further strengthen the well functioning of the EURO area. When the international financial crisis hit the world and also Europe in 2008 a discussion started inside the EU on what should and could be done to make the financial sector stronger making it better prepared for future problems and crisis. The European Commission made concrete proposals for a European Banking Union in 2012. The reason was very simple : with the European single market and the joint official currency, the EURO, Europe’s financial sector was by now so integrated that it needed to have common rules on how to regulate and protect it. It would also prevent individual countries from taking measures, which would harm other European countries in the financial markets. With common rules the banks and other financial institutions would become better protected and stronger. 2016 : the Single Resolution Mechanism ( SRM ) : it has common rules on how to solve problems for banks in difficulties around Europe. Work is ongoing for common rules on bigger protection for people with savings in banks. All 19 EURO member states are automatically a member of the European Banking Union. Other countries, also non-EURO countries, may apply for membership. Bulgaria is expected to join in 2019. And Denmark and Sweden are discussing, whether they should also apply. It is evident that with the recent developments with serious white washing of “dirty money” via banks and also with criminal attacks on many national taxation systems, often with financial institutions involved, the need for a well-functioning European Banking Union is bigger than ever before. EUROPE-AT-WORK: As of January 15, 2018, you no longer have to pay an extra fee, if you use your credit card. This is so in your own country as well as when you pay with it in another EU country. This important step for European consumers has been decided by a joint EU decision. The only exception is for corporate credit cards ( company cards ). 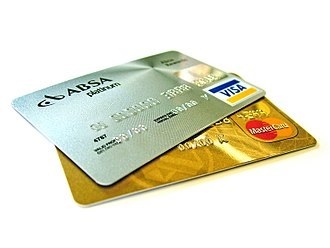 It is still legal to put extra fees when those cards are used. EU's Charter on Fundamental Rights - a part of the Lisbon Treaty from 2009 - says in its article 8 that it is a fundamental right for European citizens that data about them are protected and treated properly. The flow of information in today's global internet world means that a lot of information about people is available in thousands of data bases and often on the web. This makes common rules to protect that information an absolute necessity. And the recent scandals with the American National Security Agency (NSA) collecting and using information also about European citizens without their knowledge and Facebook's supply of personal data of millions of users to other companies, which used them to influence elections and the Brexit-referendum, made common, strong and clear rules even more necessary. 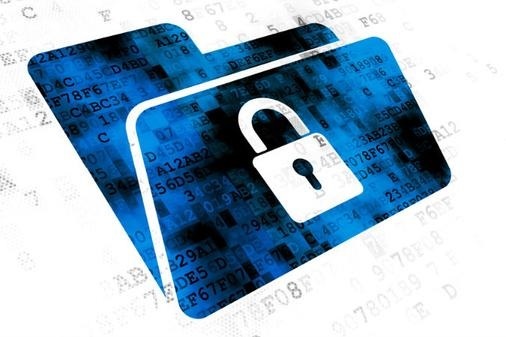 A new EU regulation on data protection comes into force on May 25, 2018. It is called "The General Data Protection Regulation" ( #GDPR ). You can say that this is a fundamental law for all and everybody in the European Union member states, including for companies from non-EU countriesh operating in Europe. * the right to say YES or NO to any "Cookies", which many websites offer to install on your computer ( small programmes making it possible for the company for marketing reasons to follow what you are interested in ). All these rules are fundamental for the protection of the rights of all European citizens. The rules are exactly the same in all EU member states. This also means that transfer of personal data from one European country to another is much easier. The protection is the same everywhere. So companies and public authorities have a much better possibility than before to profit from the big European digital market, which is developing all the time. What about non-EU countries? As already mentioned non-EU companies operating in Europe have to follow the new rules strictly like anybody else. So companies like Google, Facebook and Amazon have to inform European authorities which information about Europeans they are storing, who have access to that information and what it is used for. In addition to that the European Commission is mandated to negotiate agreements with other countries about exchange of data and on which strict conditions this can take place. What happens, if somebody is breaking the rules? The European Commission will be monitoring that and take the necessary steps to stop and punish breaks of the clear rules. And huge fines can be introduced - up to 4 % of a company's annual turnover. Individual citizens wanting to complain may contact the National Data Protection Authority and if necessary later go to national courts, if they believe the rules have been broken when their personal data is concerned, also if this has happened in another European country. These new European rules empower any European citizen more than ever before to ensure that his or her personal data are registered and treated as he or she wants. It also makes Europe take back control of how non-European agencies and companies are treating personal data about Europeans. And it makes the huge European digital market function much better than before. If you want to see a short video explaing the new rule you find one HERE . 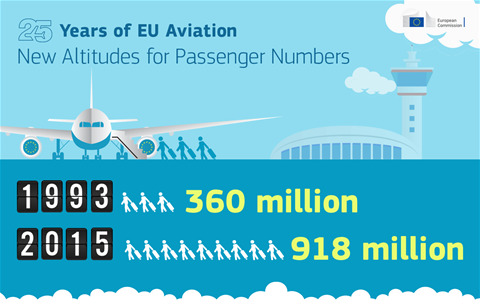 EU's Internal Market for Aviation - like the single market in general - was born back in 1992. Since then there has been a revolution in air travel in Europe. Today, air travel is cheaper, safer and open to more people than ever before. What's more, because of a comprehensive set of EU passenger rights, travellers can have full confidence they will be looked after on their journey. This is all thanks in no small part to an EU initiative to replace a series of national rules by a single set of EU rules, known as the EU Internal Market for Aviation. Competition brought major changes to air travel - changes that have propelled European mobility forward, successfully helping to bring Europeans closer together, and providing solid foundations for more jobs and a growing economy. The idea of travelling and experiencing new places and cultures has become a reality for many people in Europe during the past 26 years. As illustrations you can mention the dramatic drop in prices of air tickets: in 1992 a ticket from Milan to Paris would cost 1.600 €. Today the price is: 100 €. The number of airports in Europe has tripled since 1992 - today about 450 airports, including lots of regional ones, handle almost 1 billion passengers a year. The intra-European connections have also multiplied. Example: Dublin airport hr 36 connections to European airports in 1992. In 2017 the figure is 127. 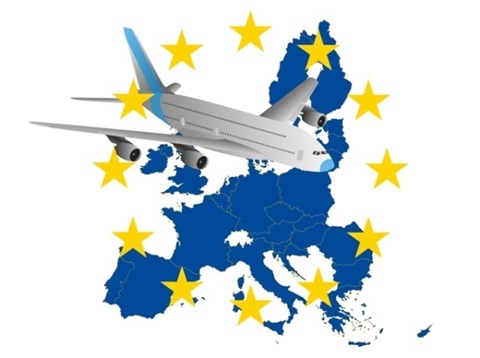 In addition to these internal European rules the EU has negotiated aviation agreements with many third countries and also in that way got many more and much cheaper air connections to cities around the world. So it is very fair to say that this internal market for aviation has significantly befitted European citizens, developments around airports and in the air industry and also been a huge advantage for the well functioning of the EU internal market when goods and services are concerned. The number of air passengers in Europe has increased very considerably during the last 25 years. This is to a large extent due to the single aviation market in force since 1992, to the much lower prices for air tickets and to the strong increase in the number of European airports, not least regional airports. Therefore, the EU decided in 2004 to help the millions of passengers, if they have problems with their flights - such as refused boarding due to overbooking, cancellation of flights or long delays. If they are hit by such difficulties that have - according to the EU rules - right to a compensation between 250 € and 600 €. The EU Court of Justice has made several rulings due to complaints, and it has all the way given a very strict interpretation. Therefore, there are no exceptions from the rules. 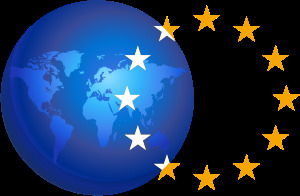 EU means the 28 EU countries , including Guadeloupe, French Guiana, Martinique, Réunion Island, Mayotte, Saint-Martin (French Antilles), the Azores, Madeira and the Canary Islands as well as Iceland, Norway and Switzerland. All airports are obliged to make the rules very visible to passengers. They can, of couse, also be consulted on the internet. If you want to know more details, you will find them HERE . Thousands and thousands of European air passengers have over the years profited from these rules. When buying a rail ticket, you may not be charged a higher price because of your nationality or where you are buying the ticket from. Your rights as a railway passenger generally apply to all rail journeys and services within the EU. 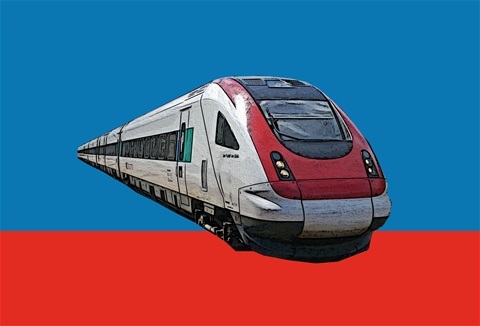 European countries can decide whether or not these rights also apply to domestic trains (urban, suburban, regional, etc.) and international trains that start or finish their journey outside the EU. If your train is cancelled or delayed, you always have the right to adequate information about what is happening while you are waiting. § be transported to your final destination at the earliest opportunity (or a later date of your choosing). This includes alternative transport when the train is blocked and the service is suspended. § accommodation – if you have to stay overnight. § 25% of the ticket fare, if the train is between 1 and 2 hours late. § 50% of the fare, if the train is more than 2 hours late. If you think your rights have not been respected, you can complain to the railway company, which must reply within 1 month. If you are not satisfied with their reply, you can contact the national enforcement body in your country. If your registered luggage is lost or damaged during your trip, you have a right to compensation, unless it was inadequately packed, unfit for transport or had a special nature. § Up to EUR 1 300 per piece of registered luggage – if you can prove the value of its contents. § EUR 330 per piece if you can't prove the value. If a passenger is killed or injured in a train accident, they (or their dependants) are entitled to compensation for lost or damaged hand luggage (registered or not) up to a maximum of EUR 1 500. If a passenger is injured or killed in a train accident, they (or their dependants) are entitled to compensation, with an advance payment within 15 days of the accident to cover their (or their dependants') immediate needs. In the event of death, this advance payment is at least EUR 21 000 per person. The EUROPEAN HEALTH INSURANCE CARD is a free, blue card available for all citizens in the European Union (EU) and the European Economic Area (EEA). It gives you access to medically, state-provided healthcare during a temporary stay in any of the 28 EU member states and in Norway, Iceland, Switzerland and Lichtenstein - under the same conditions and the same costs as people insured in that country. 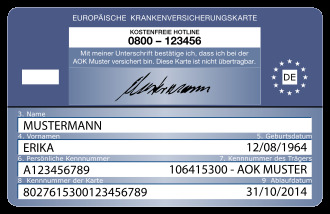 The Card was started in 2004 and replaced a number of different forms. The card is issued free of charge by your national health insurance provider. It is always advisable for EU citizens to bring the card, when you travel within the member states of the EU and EEA. The purpose of the card is to make life easier for tourists, trainees and others who move around Europe. With this card you are sure to get health care, if needed, on the very same conditions as citizens in the country you visit. Of course, this does not prevent you from buying additional insurance coverage, if you want to. One of the important parts of EU's efforts to use and promote digital services across borders in Europe is the ePRESCRIPTION. This makes it possible for patients in the EU to use digital prescriptions by their home doctor when visiting a pharmacy in another EU country. A new EU funded eHealth Digital Service Infrastructure makes this possible. The new service started in January 2019, when digital prescriptions issued by Finnish doctors can be used in pharmacies in Estonia. It is expected that 10 EU member states will take actively part in this new service by the end of 2019. They are: Finland, Estonia, Czech Republic, Luxembourg, Portugal, Croatia, Malta, Cyprus, Greece and Belgium. Altogether 22 EU member states have joined the service, and all are expected to be operational by the end of 2021. Denmark is not one of them. On May 1, 2018 a new service for all EU citizens came into force. More and more European citizens travel outside the EU. At the same time the number of embassies and consulates of the EU member states decreases. Many countries do not have diplomatic representations in most countries in the world. Therefore, the new service is very important. As an EU citizen you are now entitled to seek help from the embassy or consulate of any EU country, if you find yourself in a situation where you need advice or assistance outside the EU, with no embassy or consulate from your own country to help you. Unrepresented EU citizens are entitled to receive consular protection under the same conditions as the nationals of that country. This right is set out in the EU Charter of Fundamental Rights. * need for an emergency travel document ( e.g. in case of loss or theft of passport ). Serious crimes do not respect borders between countries. They take place across borders to an ever larger degree. And it is certainly not old-fashioned border barriers, which will stop them. It requires a close and binding cooperation between the police forces of countries. 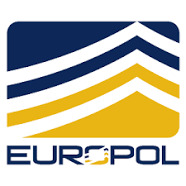 EUROPOL is an EU Agency, which is a close and very active police cooperation between the 28 EU member states national police forces. It was created in 1993, has it headquarters in The Hague in the Netherlands and has today about 1000 staff. EUROPOL is in charge of about 18.000 cross frontier police projects each year. One of their ongoing actions is to publish a list of Europe's Most Wanted. EUROPOL also runs a special centre fighting cybercrimes. From May 2017 EUROPOL has been fully integrated in the European Union. This means that only member states which are fully taking part in the judicial cooperation in the EU can take part as full members of EUROPOL. Denmark not being fully part of the judicial cooperation is therefore no longer a full member of EUROPOL. Before May 2017 Danish police in average used EUROPOL and its data bases every 8 minutes. This has now become much more difficult and slow. And after the UK will leave the EU that country can no longer be a member of EUROPOL either. From May 2018 the director of EUROPOL is Mrs. Catherine De Bolle, former head of Belgium's police forces. It is also possible to subscribe to their electronic Newsletter free of charge. We all know very well that crime does not respect borders. It most often takes place in several countries. It might be terrorism. It might be other serious crimes. The EU has in 2002 created a special agency called EUROJUST to coordinate the fight against such crimes. It is dealing with judicial cooperation in criminal matters among agencies of the 28 EU member states. Its headquarters are in The Hague in the Netherlands - the same place as EUROPOL, which is very practical. It helps national agencies in their permanent and coordinated fight against serious crimes, which take place in more than one country. 3) runs 10 coordination centres around Europe. 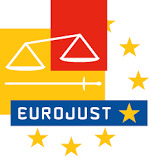 EUROJUST also cooperates closely with non-EU countries and with many international organsations. Its Board has 1 member from each EU member state, and it has 240 staff. EUROPE-AT-WORK: The European Arrest Warrant (EAW) is an arrest warrant valid throughout all member states of the European Union (EU). Once issued, it requires another member state to arrest and transfer a criminal suspect or sentenced person to the issuing state so that the person can be put on trial or complete a detention period. It started in 2004. It is used 10-15.000 times a year. At it shortens considerably the time it takes to get a suspect or a sentenced person back to the country demanding his or her arrest. This is part of joint concrete steps of making Europe safer. 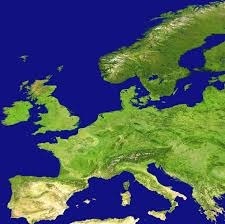 The European Union is the largest trading area in the world. In order to ensure the best possible conditions for this trade and to guarantee that all its member states profit from the same rules the EU has negotiated and will in the future negotiate trade agreements, often free trade agreements, with lots of countries around the world. The EU is convinced that trade, if possible free trade, is a huge advantage to everybody. It will therefore push ahead with efforts to have agreements with as many countries as possible and to modernise and update those already in place. If you want a more detailed overview you can see the most recent list from the Commission HERE. 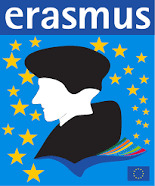 EUROPE-AT-WORK: The ERASMUS programmes have now for more than 30 years given students and other young people the possibility to study in other EU countries than their own. The exams they pass while being abroad count fully at their home university or school. And they get EU financial support for they studies abroad. More than 9 million young people from all EU countries have taken part until now. France and others have suggested that the ERASMUS programmes must have a much larger budget in the future. 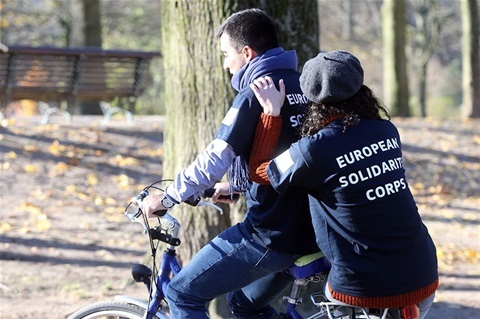 The EUROPEAN SOLIDARITY CORPS is a new EU initiative from 2016. It offers young Europeans between 17 and 30 years the possibility to volunteer or work in projects that benefit communities and people across Europe. The young people will be placed with a project either for volunteering or for a traineeship, an apprenticeship or a job for a period between 2 and 12 months. These projects are covering many different areas: education, health, social integration, support for refugees and migrants, environmental projects, help in connection with natural disasters, etc. Most of the projects take place in one of the EU member states. All the projects are run by institutions and organisations approved by the EU. It might be public or private organisations, NGOs, private companies, etc. Participants will have their costs covered and in case of job contracts they will be hired according to the rules of the country where they serve. At the end of their participation they will receive a certicicate, which can be very useful for future education and jobs. Until April 2018 altogether 53.000 young Europeans have applied to take part. The EU has started a new programme called FREE INTERRAIL PASSES TO YOUNG EUROPEANS, when they turn 18 years old. The initiative was taken by the European Parliament, and the Commission has just started a pilot project, which is expected to be offered to 15.000 - 30.000 young 18 year olds in the summer 2018. The EU wants with this initiative to promote learning mobility, active citizenship, social inclusion and solidarity among all young people. The action will seek to offer young people, regardless of social or educational background and including people with reduced mobility, a chance to travel abroad. When the lessons from the pilot project have been studied it is the plan to make the programme a permanent project. The first pilot project is now well under way. The project received 100.000 applications from all over the European Union. And 15.000 young people got the grant. This proves that the programme is a very popular one. 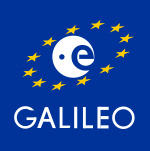 Europe at Work: Do you know that the huge European project GALILEO is almost ready. It is a European satellite navigation system, which is ten times more precise that the American GPS and has a number of new, very important functions. 22 satellites of 30 are in place, and it will be fully operational in 2020. Free for all to use. Its headquarters is in Prague. The Americans can stop the use of GPS at any moment, if they want to. With Trump as president we should be extra happy to have our own GALILEO. See more on Google. You can actually already use Galileo via your smartphone. You probably already do so without knowing it. More than 30 smartphone models are automatically enabled to use Galileo. You do not have to do anything. Smartphones from Samsung, Apple, Huawei, Asus, LG, Nokia, Sony, etc. all have it. You want to know, if your phone uses Galileo? Just download the free app GPSTest and look at the status section. Then you will after a few minutes see, that your phone uses a number of signals at the same time - such as GPS (American), Galileo (EU), Glonass (Russian) and Beidou (Chinese). They all work in parallel. In other words: if the Amaricans (Trump) one day decide to close their GPS for use by other countries, then we have no problem anymore. In addition, the Galileo system is - as mentioned above - ten times more precise than GPS.